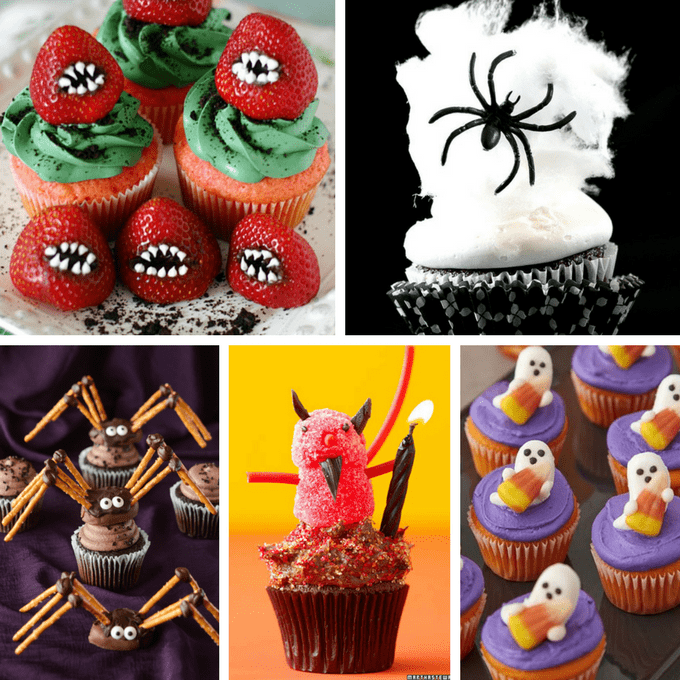 Ultimate roundup of the best Halloween cupcake ideas on the web with links to tutorials. This is it. 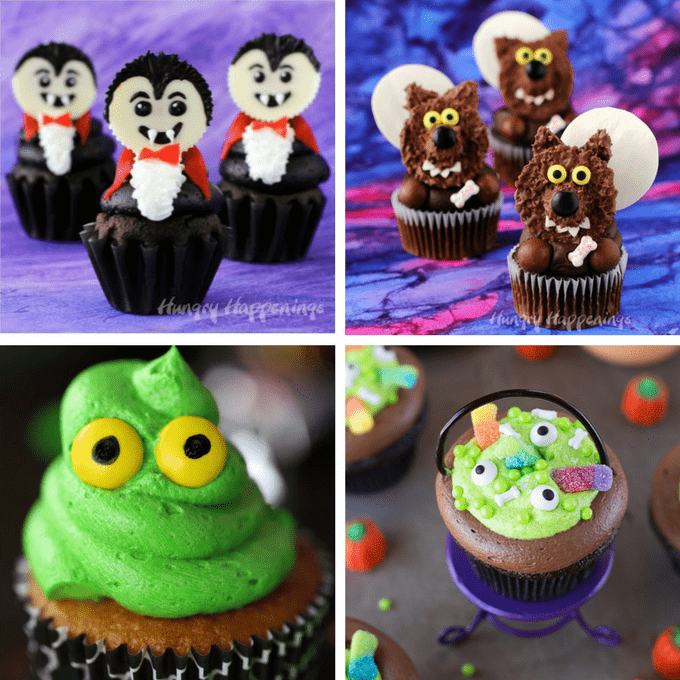 The ultimate roundup of HALLOWEEN CUPCAKE IDEAS. 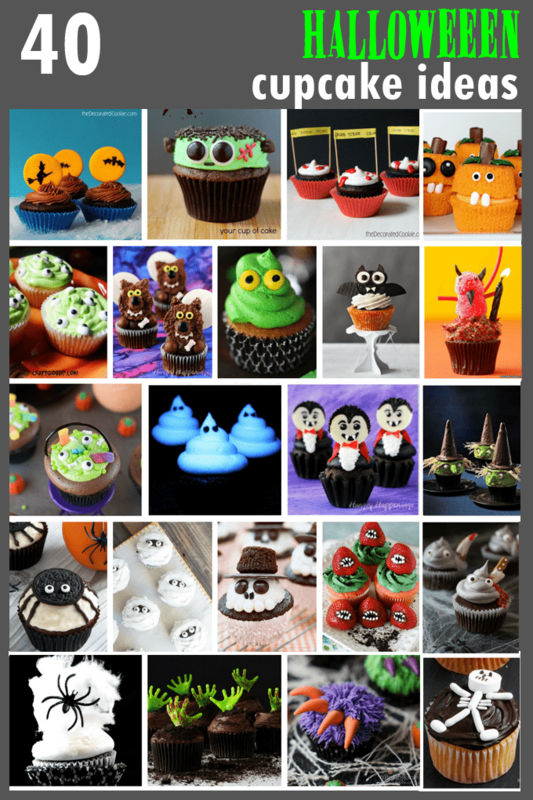 Every single idea on the internet for Halloween cupcakes is right here. 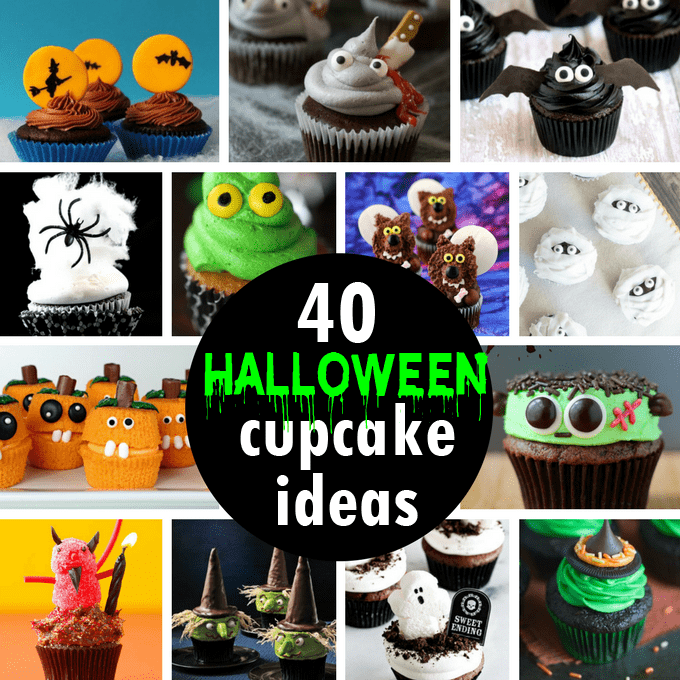 (Well, that’s not at all true, but I did round up what I think are the 40 best cupcakes ideas ever for them.) 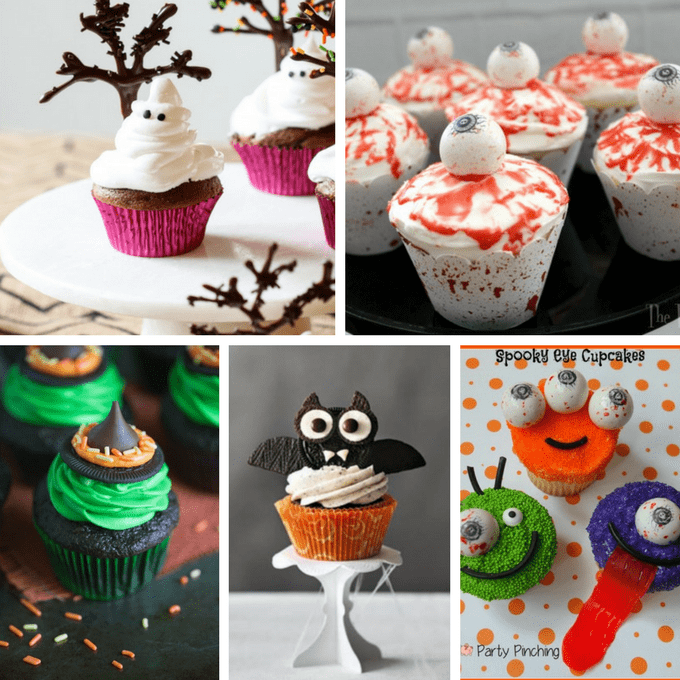 So if you’re throwing a Halloween party or bringing cupcakes in to work or school, you should be covered for Halloween cupcake ideas here. 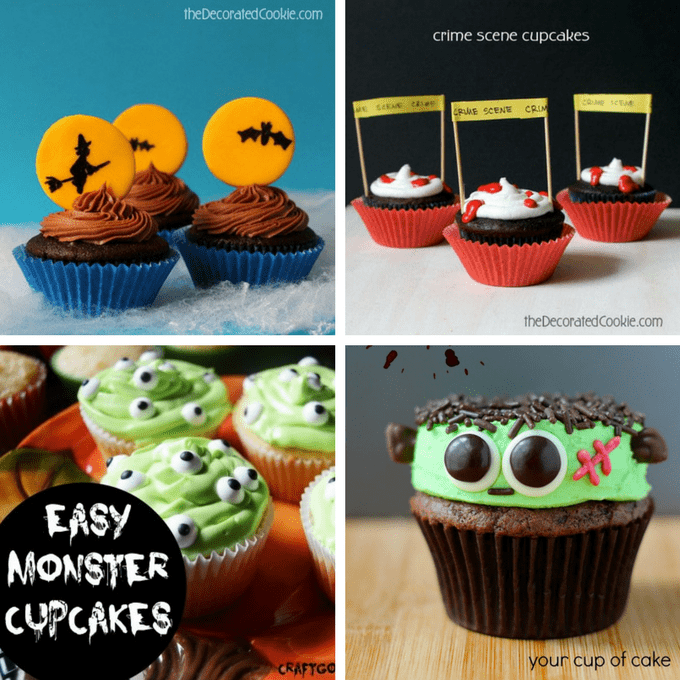 Make monster cupcakes at Craft Gossip. 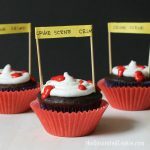 Make Frankenstein cupcakes at Your Cup of Cake. 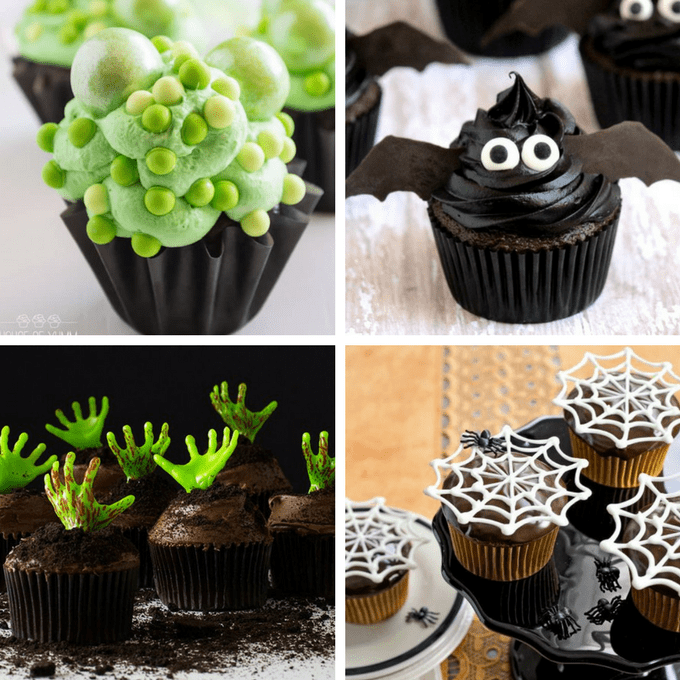 Make Dracula cupcakes at Hungry Happenings. Or make these werewolf cupcakes. Make green ghost cupcakes at Mom Loves Baking. Make cauldron cupcakes at Live Made Simple. 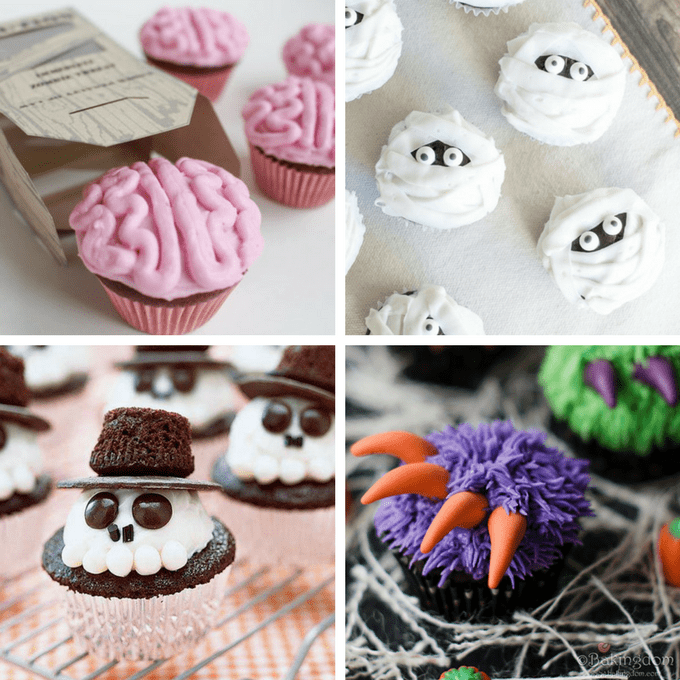 Make ghost cupcakes at BH and G.
Make eyeball cupcakes at The Partiologist. Make witch hat cupcakes at Tastes Better From Scratch. Make Oreo bat cupcakes at Today’s Parent. 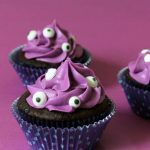 Make silly monster cupcakes at Party Pinching. 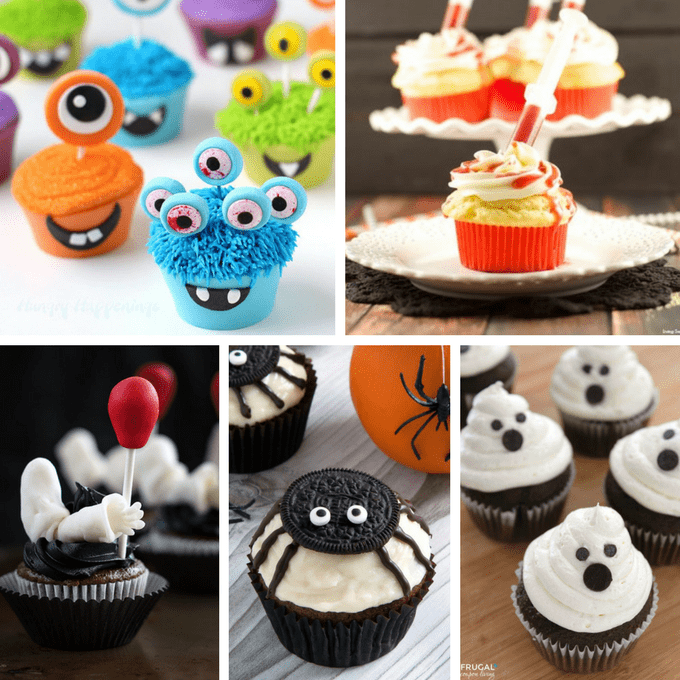 Make monster cupcakes with edible wrappers at Hungry Happenings. Make bloody cupcakes at Living Sweet Moments. Make IT cupcakes at A Magical Mess. Make spider cupcakes at Texanerin Baking. 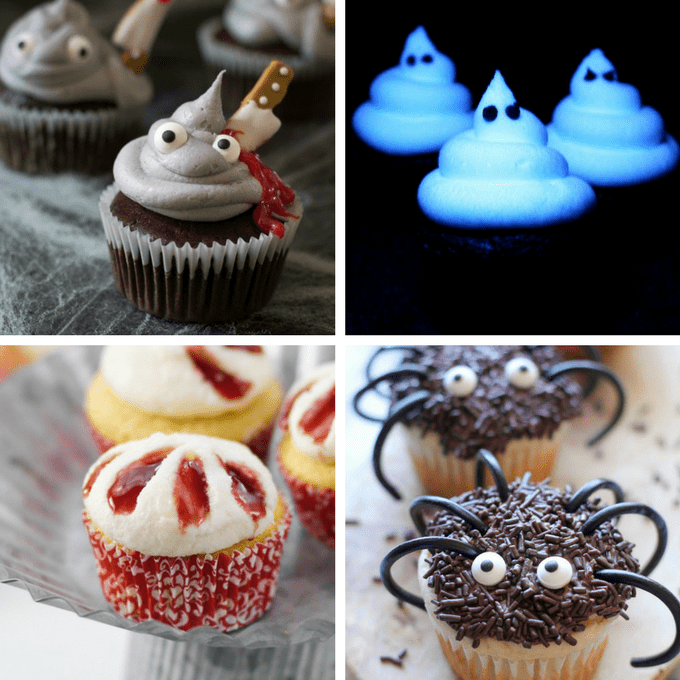 Make ghost cupcakes at Frugal Coupon Living. 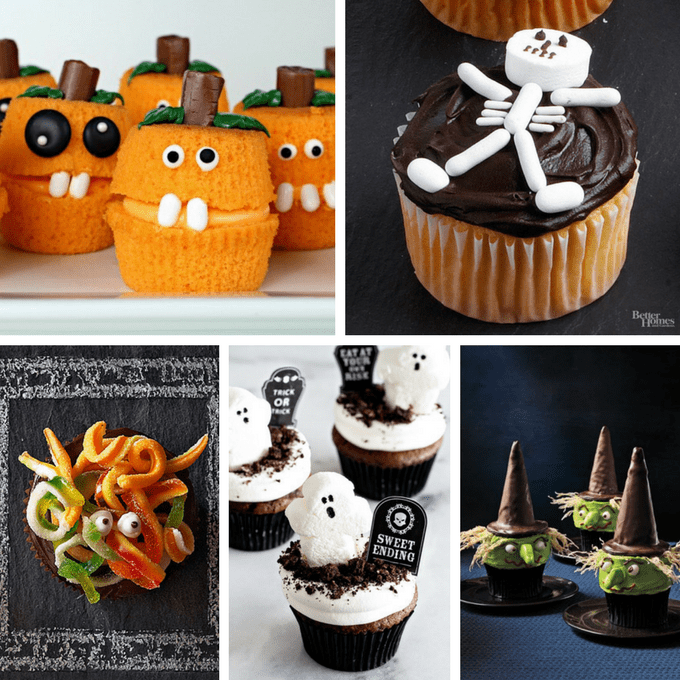 Make gluten-free Halloween cupcakes at Fearless Dining. Make glow in the dark cupcakes at Instructables. Make claw mark cupcakes at Confessions of a Cookbook Queen. Make spider cupcakes at Damn Delicious. Make brain cupcakes at Bren Did. Make mummy cupcakes at Sugar and Charm. Make skeleton cupcakes at My Recipes. Make monster claw cupcakes at Bakingdom. Make witch’s brew cupcakes at House of Yumm. Make bat cupcakes at Big Bear’s Wife. Make zombie cupcakes at The Cake Girls. 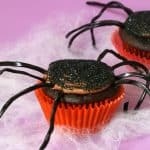 Make spiderweb cupcakes at Country Living. Make monster strawberry cupcakes at Yummy Crumble. Make cotton candy spider web cupcakes at Pizzazzerie. Make pretzel spider cupcakes at The Novice Chef. Make little devil cupcakes at Martha Stewart. 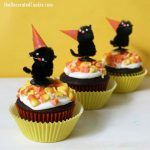 Make ghost and candy corn cupcakes at Wilton. Make Jack O’ Lantern cupcakes at Bearfoot Baker. Make a skelly cupcake at BH and G.
Make dirt pudding cupcakes at My Baking Addiction. Make witch cupcakes at Woman’s Day. I want the recipe for these cupcakes please. Hi Yvonne, click the links to go to the original recipes!